Just as ancient ancestors communicated through visual icons, modem graphics speak to customers through imagery and text to impress values, functions, and hierarchies on millions of people. You have the responsibility and opportunity to make a lasting global impression. Visual icons communicate basically and directly-which is perfect for branding, when the goal is to convey a message with minimum time or strain on the audience. This is not to say words aren’t important, especially for more-evolved forms of communication, such as, say, novels or inauguration speeches. These benefit greatly from well-bred vocabularies. This book aspires to inform anyone who has joined or wants to join the great tradition of long-gone cave men and Egyptians. 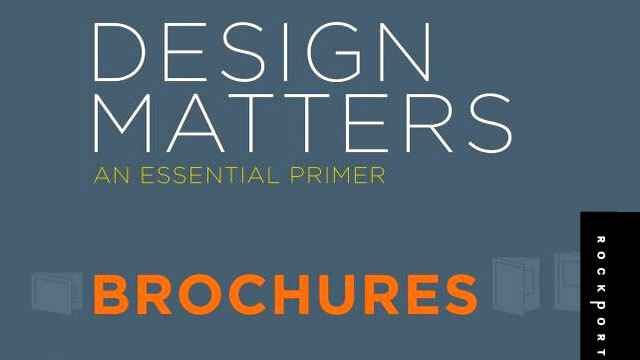 It’s for designers hoping to make a unique mark on the canvas of time, presenting theories, process, examples, and methods from design professionals around the world. It’s structured to guide readers through the defined stages of process: planning, creating, and implementing. 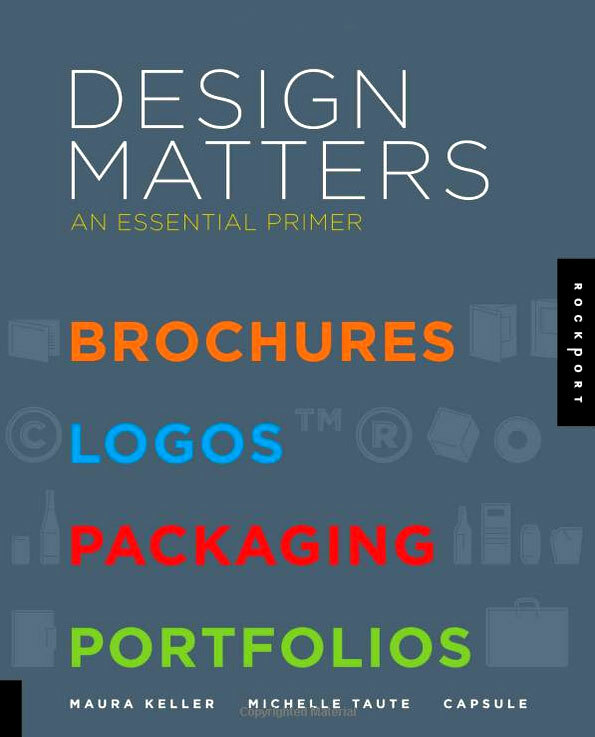 Design Matters delves into the abstract, emotional, and instinctual elements that are so critical to creativity of any kind.